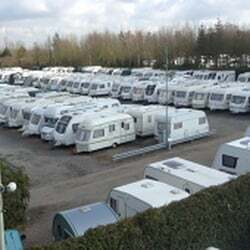 We cater for all of your caravan storage needs caravan storage, motor-home storage and boat storage and offer great rates. With 24 hour access you can relax in knowing that you can work to your own time-scale, and not hours. Don't rush back from your holiday or weekend break on our part! The site is surrounded by high security steel palisade fencing and access is via two sets of palisade gates with insurance approved MUL-T-LOCK padlocks located inside MUL-T-LOCK enclosed housings to prevent forced entry. Why Use Beveridges Caravan Storage? With 25 years in the industry and counting, we understand the requirements of our clients. We offer a comprehensive removal service, secure self storage and motor-home, boat and caravan storage Newcastle. Our facility is secure and with 24 hour access, you don't need to worry about not getting here on time or picking your caravan up the night before so that you can get off early. Simply plan your holiday and execute it without worry. Relax and make the most of your time away. We have tailored this service around our customer's needs and feel confident that our service is just what you will be looking for, speaking from our years of experience. As always, if you have any questions at all, you can simply contact us and we will do everything we can to satisfy your requirements. Whether you contact us by email or telephone, you are sure to receive a friendly and comprehensive response. Use the form on this page to contact us specifically about a motor-home, boat or caravan storage Newcastle enquiry.